On the weekend of August 18 – 19 the Akron Fulton Airport (recently renamed Akron Executive Airport) hosted this year’s Props and Pistons Festival. The event included static displays and fly-by’s by military and civilian airplanes and helicopters. Also included were several historical displays. 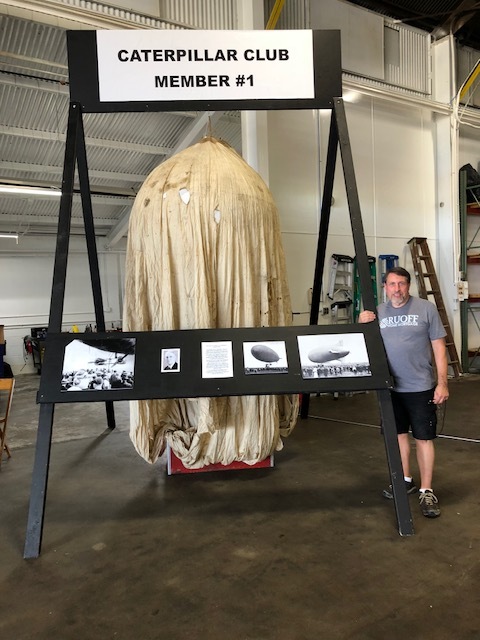 The Lighter-Than-Air Society (LTAS) participated with a display that featured the Parachute of Henry Wacker, Member #1 of the Caterpillar Club. 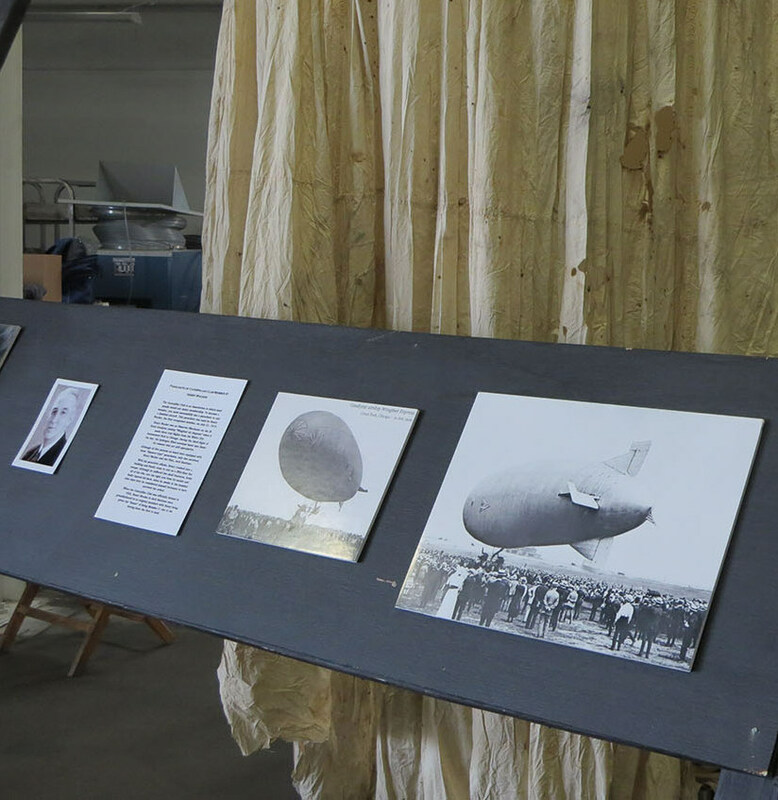 The display also included items relating to the Akron Airdock, which served as the background of the Festival. 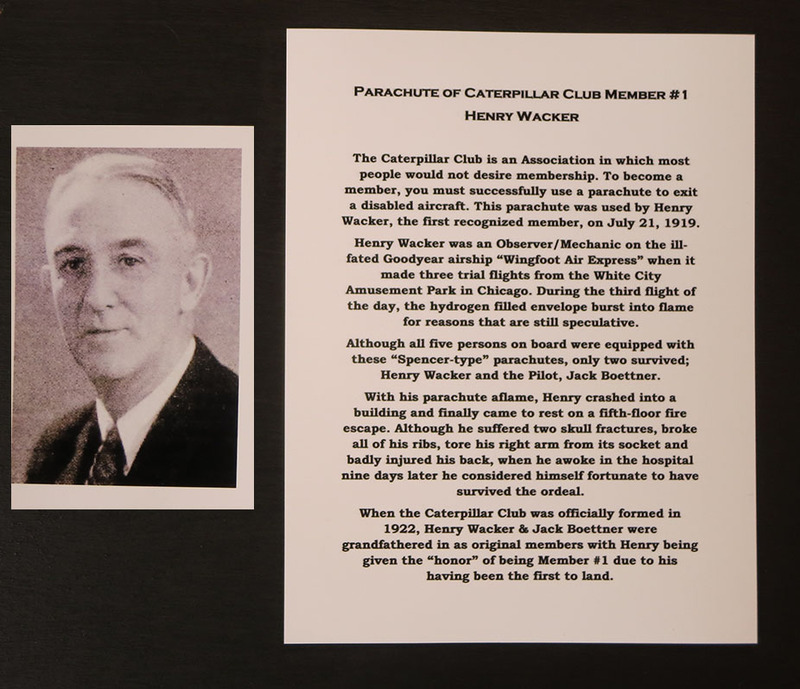 Read more about Henry Wacker and the Caterpillar Club here. Caterpillar Club Member #1 display. 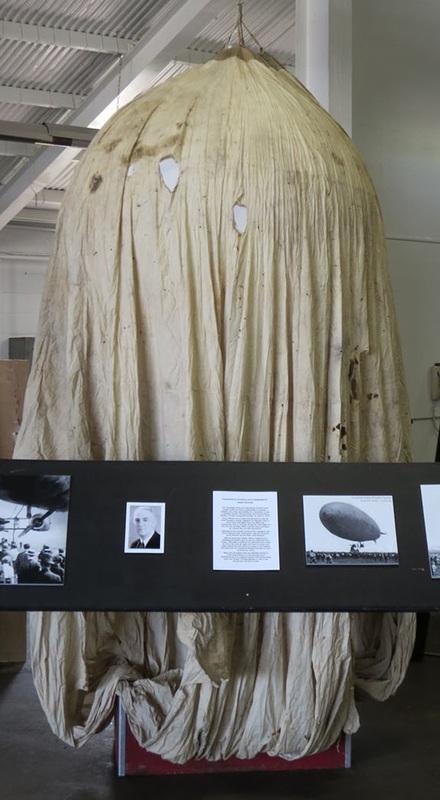 Parachute used by Henry Wacker. 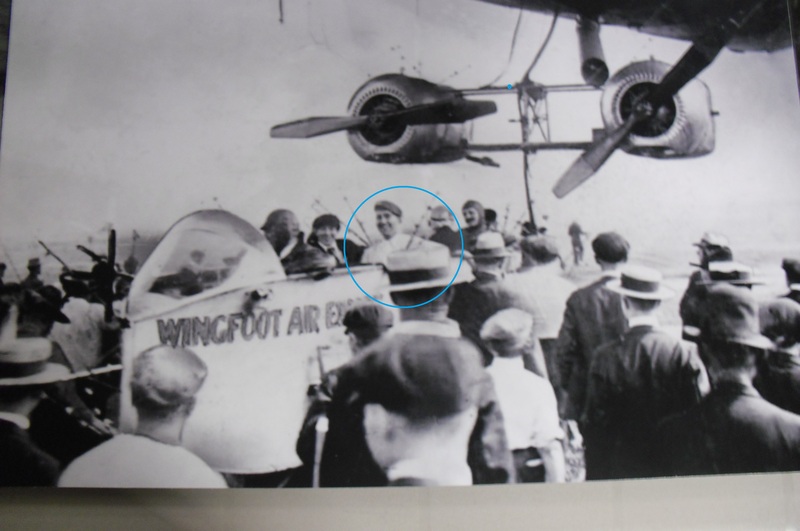 Wacker (circled) aboard the Wingfoot Air Express. 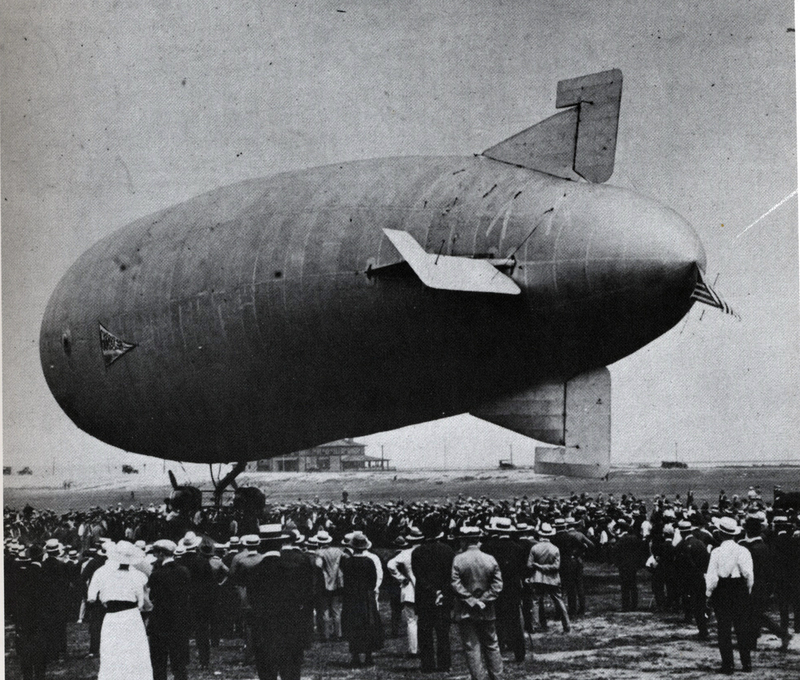 Wingfoot Air Express departing from Grant Park in Chicago. Henry Wacker, Member # 1 of the Caterpillar Club. Detail of the parachute display. 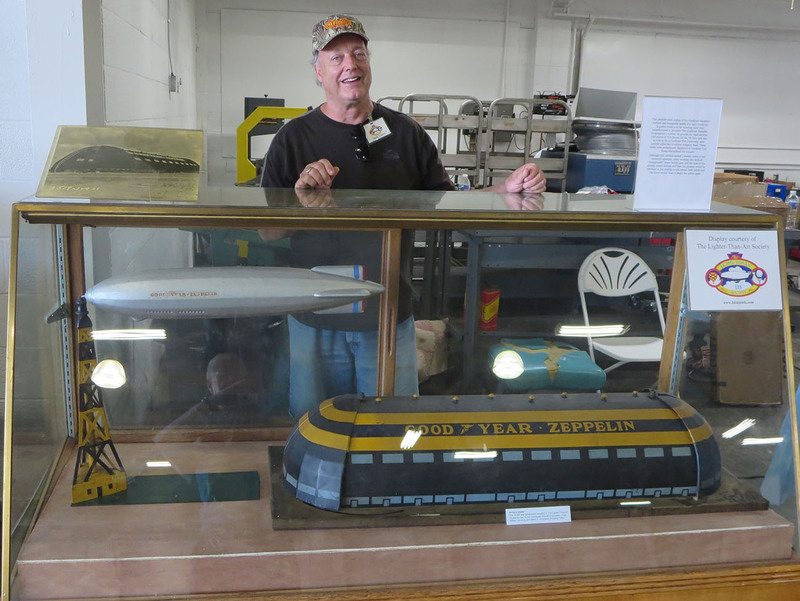 Display of part of the artifacts relating to the Akron Airdock from the LTAS collection. 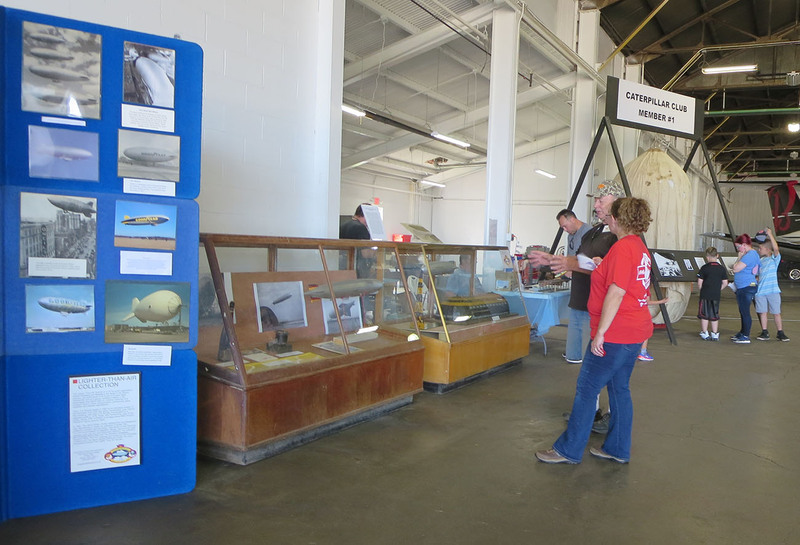 Visitors view the LTAS display; Akron Airdock exhibition on the left and Henry Wacker’s parachute on the far right. 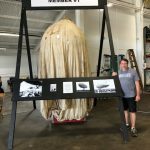 This entry was posted in Events, Exhibitions and tagged Airdock, airship, Akron, Caterpillar Club, Henry Wacker, Wingfoot Air Express. Bookmark the permalink.